It is with the deepest sadness that the family announces the passing of Wilfrid Ross, aged 71, on Tuesday, October 30, 2018. He leaves to mourn his cherished wife Irene (Lansard), with whom he just celebrated their 50th Anniversary. He will be deeply missed by his son; Donald (Lindsey), and daughter; Rachel (Kelly) Moore. But the hardest goodbyes are to his five treasured grandchildren; Kian, Garin, Birkley, Irelind and Scotia. He leaves behind his beloved sister Yvette (Lionel) Rivard and in-laws; Diane Ross, Don (Louisa) Carriere, Rene (Paulette) Desrosiers, Helene (Charlie) Legal, Rose Lansard, Irene (Clement) Charriere, Leonie (Ed) Bilcowski and Raymond (Helene) Lansard. He was predeceased by his parents, Therese (Saltel) and Alfred Ross; brother Leonard Ross, brother-in-law; Claude Lansard and sisters-in-law; Therese Desrosiers, Marie-Louise Carriere and Rita Lansard along with other family members and friends. Born and raised in Ross, Manitoba, Wilf was rambunctious and busy. As a young adult, he worked in construction and as a roofer. In 1968, he asked the love of his life to be his wife and they married on October 12th that year. In 1971 they welcomed the birth of their son Don and in 1973 their daughter Rachel. In 1979 he moved his family to Lac du Bonnet and within a year, bought into the franchise of Rene’s Septic Tank. For many years, Wilf was heavily involved in his community. In 1980 he initiated the formation of the Knights of Columbus in Lac du Bonnet, as Grand Knight. He volunteered with the fire department, the Lion’s Club and was a strong advocate for the new Community Center. Equal to his generosity within the community was his love and passion in life as a husband and father. 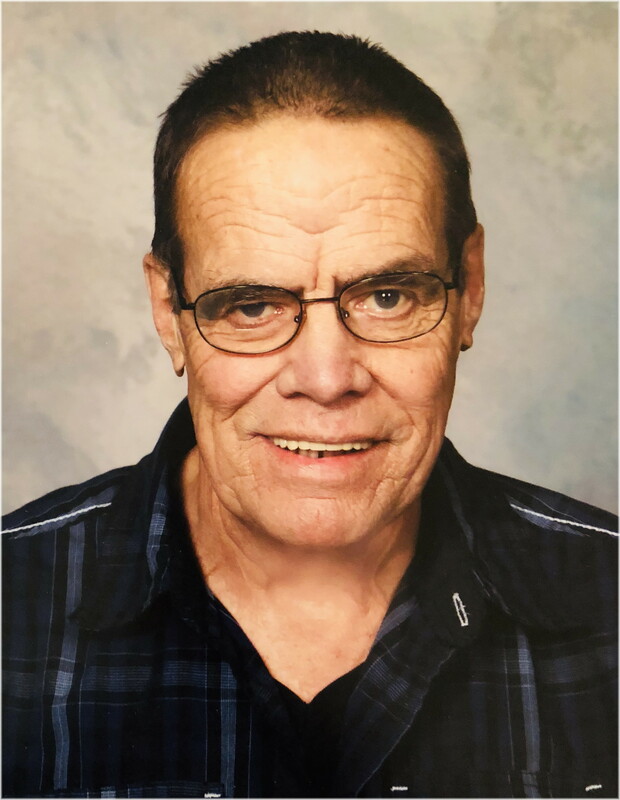 He was actively involved in his family’s sporting events, was their biggest cheerleader and looked forward to his annual hunting trips with Don. Wilf and Irene had a marriage that many envied and even more modelled from. He was the best uncle to countless nieces and nephews with fond memories often shared at gatherings. Wilf’s favourite pastimes were playing with his grandkids, travelling to Mexico and Texas with friends and family and of course, golfing. His well-known F sharps rang loud regardless of a hit or miss. But his truest character shone brightest with a deck of cards around a table of close friends. He enjoyed it so much and was often heard saying he loved that game (till he lost, then he hated that game)! The family wishes to thank the Lac du Bonnet Ambulance and Paramedics, the caring staff at Beausejour Hospital and the outpouring of support and love from family and friends. Irene, Don and Rachel invite you to join the celebration of Wilf’s life on Saturday, November 10 at 11:00 a.m. at Sobering Funeral Chapel, 1035 Park Ave. E. in Beausejour. In lieu of flowers, the family requests donations be made to the Heart & Stoke Foundation of Manitoba or the Manitoba Lung Association. My deepest condolences to the Ross family. M prayers are with you for strength in this very difficult time. I am truly sorry for your loss, Irene, Don and Rachel and your loved ones! Wilf was definitely a strong man in more ways than one and someone who was not afraid to speak his mind on matters that were very dear to him: honesty, fairness, justice, and equality for all! He was a man with strong convictions who was able to take a stand and make a difference! We were blessed as a family to have met him and all of you as well! I know that Wilf told St Peter at the gates to keep the door open as he was on his way to heaven! May he Rest In Peace and our deepest sympathy as your cherish his spirit of life forever! Sincere condolences to you, your friends and your family Rachel, May you find peace in your loving memories of your dad. Irene, Don, Rachel and family we send you our deepest condolences for your loss. Wilfred was great guy who left a lasting impression on everyone who ever met him. Wilfred was a passionate man who was not shy about speaking his mind. This is one of the things that I admired so much about him. Another thing that I admired about Wilfred was the size of his heart and how much he loved his family. He will be missed by all. Our sincere Condolences to you and family. Thinks of all of you at this sad time. Sincere condolences to you and your family. Our thoughts and prayers are with you.